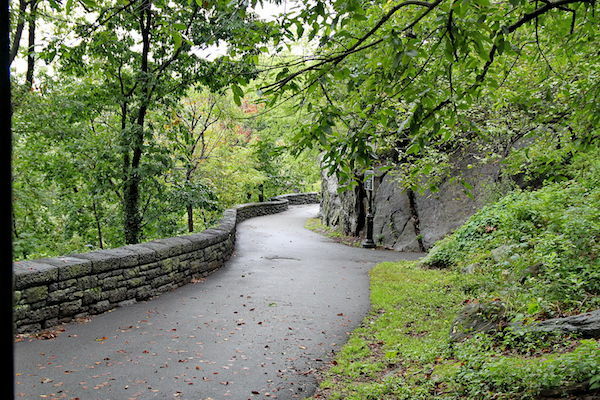 Fort Tyron Park: Over 8 miles of pathways in this unique, Olmsted-designed park. The Cloisters Museum is located here. The trails are a combination of lovely woods, lawns, and fields. There are also stairs all over the park, so a good opportunity to get those thighs burning! Great views of the Hudson River and Palisades. Also a large, accessible garden. Inwood Hill Park. Adjacent to Fort Tyron, another couple of miles of woodsy paths, a salt marsh, and interesting rock formations. NYRR hosts a weekly open run. George Washington Bridge. It is possible to run over the George Washington Bridge! There is a sidewalk along the south side of the bridge open to cyclists on pedestrians. Fantastic views and quite a thrill as you run over to New Jersey. 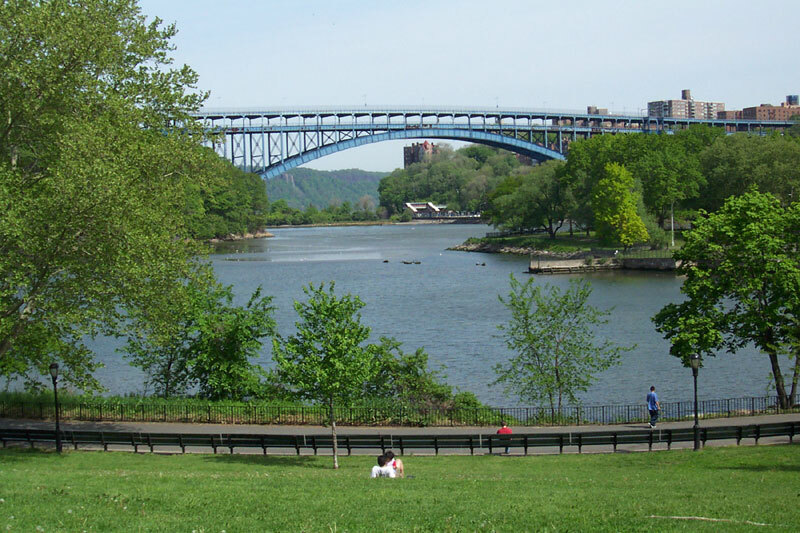 This link has specific instructions on how to access/egress the bridge on the NY and NJ sides. The distance (including access) is about 2 miles one-way, and hilly to access the bridge! Once on the NJ side, there’s nice running along Henry Hudson Dr. for about 2 miles — fairly shaded, with occasional water views. The Fort Washington Park section of the Hudon River Greenway is also really nice, with great views lots of greenery.